High temperature high speed steel nozzles enable advanced material usage and quality results. Advanced auto leveling and calibration insures and high precision accurate parts. 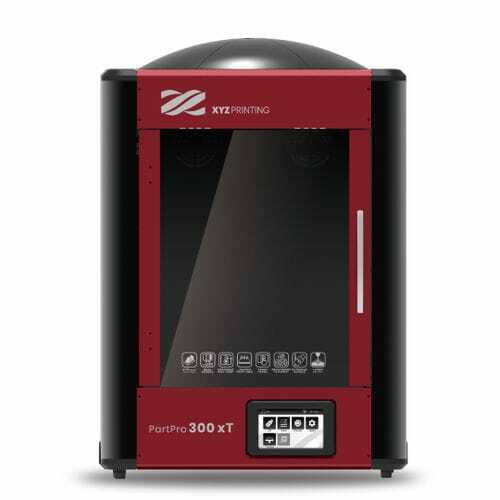 The high performance dual extruder allows for use of advanced materials like Carbon PLA, Nylon, Metallic, PETG, ABS, TPE, PLA, Tough PLA and of course water-soluble support material. Two 3kg rolls capacity extends ease of use and change over intervals. Humidity control system ensures consistent material feed.